James Farmer Way in Seat Pleasant, MD.James Farmer was a prominent labor and civil rights activist in the United States. James Farmer visited Prince George’s County and assisted in labor organizing, but that happened in Bowie. Notice how the sign has a handshake with a white and black hand. 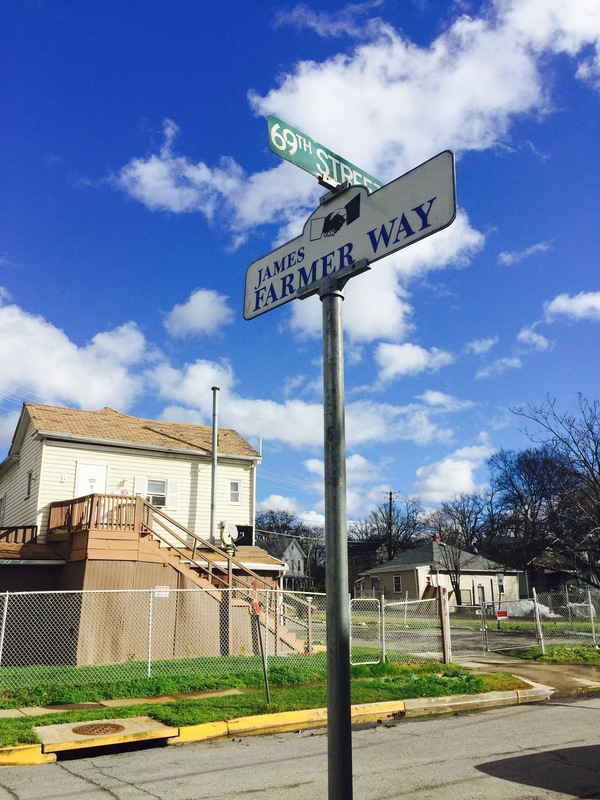 I am really interested in learning more on the impetus behind naming this street to honor James Farmer. Did he speak in the town? Did he have a relative who lived in town? What brought him to Seat Pleasant? Great piece of local history. If anyone knows anything please share!